Brook Taverner and the Welcome to Yorkshire team have come together to bring you an exclusive Men's and Ladies tweed jacket. 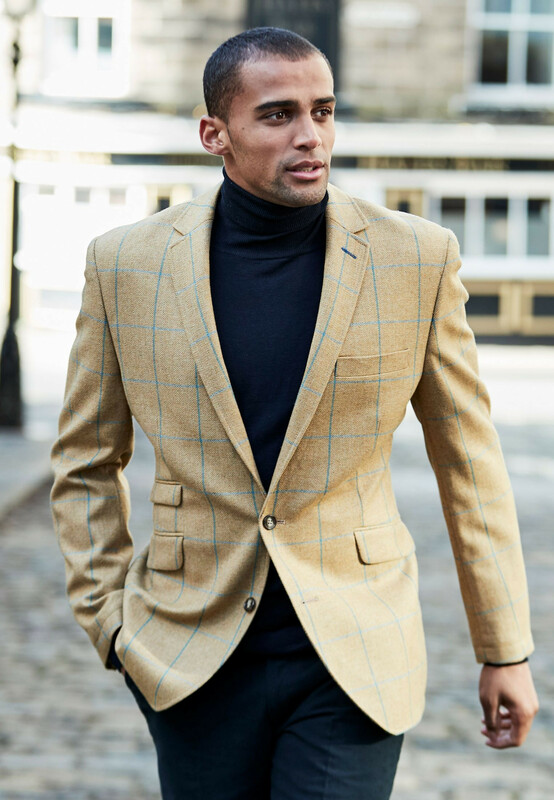 This limited edition jacket has been designed and woven by Abraham Moon of Yorkshire to give you a stunning tweed jacket in a golden hue finished off with a blue overcheck. Jacket: Classic fit. Two button, single breasted. Side vents. Angled pockets. Four interior pockets. Fully lined. Four button cuff. Dry clean only.